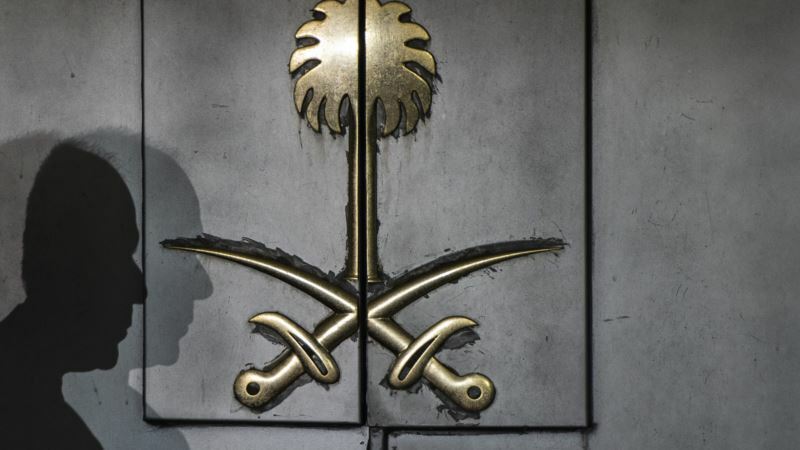 Eleven men have been charged in the killing of Saudi journalist Jamal Khashoggi at Riyadh's consulate in Istanbul as more details emerged about the circumstances that lead to his death. Saudi Arabia's deputy public prosecutor Shalaan bin Shalaan announced that death sentences were recommended for five people "charged with ordering and committing the crime." Six others charged in connection with the killing should receive "the appropriate sentences." After days of speculation in Western media over what took place inside the Saudi consulate in Istanbul, Shalaan claimed the original plan was to try to convince Khashoggi to return to Saudi Arabia, but that the head of the team overstepped orders. He said Assiri chose a 15-member team, which comprised three separate groups: a negotiating team, an intelligence team, and a logistical team. He said the head of the negotiating team knew Khashoggi and ordered him taken to a secure location, but that the journalist lost his life in a fight. He said Khashoggi lost his life in a physical altercation as the agents tried to give him a sedative and tie him up. Shalaan said five members of the team admitted to killing him and then chopping up his body and removing it from the consulate. The prosecutor also indicated that a top adviser to Saudi Crown Prince Mohammed Bin Salman, Saud Qahtani, has been banned from leaving the kingdom pending the outcome of the investigation. Qahtani was removed as head of Bin Salman's communications team after Khashoggi's death. Shalaan maintained that the crown prince "did not have any knowledge [about the operation]." Various sources, including The New York Times, claimed an audio recording of a conversation between the Saudi team and parties in the kingdom on the day of the killing contain a message "to tell your boss." Some sources allege the reference is to the crown prince. VOA has not reviewed the recording. Hilal Kashan, who teaches political science at the American University of Beirut, said the official Saudi version is "difficult to believe." "Politics is not about morality. Politics is about interests, and I don't think it lies within the interests of the U.S. to get rid of Mohammed Bin Salman," he said. "[The Saudi prosecutors] found a scapegoat and they will execute those people whom they ordered to get rid of the body." Saudi political analyst Mubarak al Attie told Saudi-owned al Arabiya TV a lot of disreputable journalism is taking place in the case and that he believes the prosecutor is sending a message to Saudis that he wants to "get to the bottom of the matter."